Another lovely silver and plique a jour scent bottle by Jean Wilkinson. 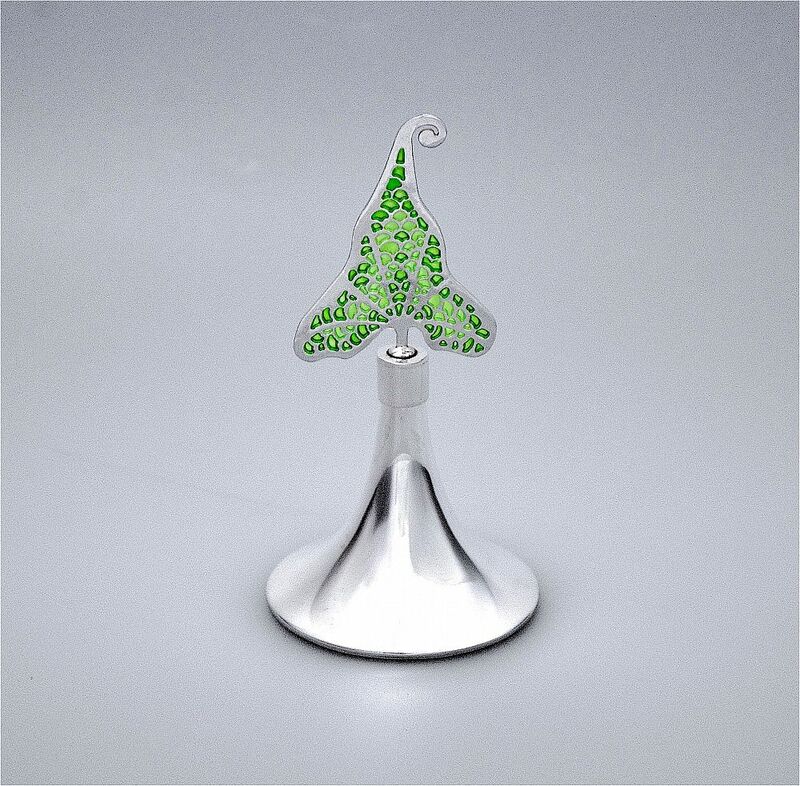 This one has a trumpet shaped silver base has a flat silver leaf shaped stopper with plaque a jour in shades of green. The base is hallmarked by the London Assay Office for silver, 2009 and has Jean Wilkinson's "JW" sponsor's mark.